The Google Pixel 3 and 3 XL have featured in extensive leaks and we know all about them. We even got a glimpse of the upcoming Pixelbook earlier today so this leaves only the accessories as an unknown from the upcomingGoogle event. 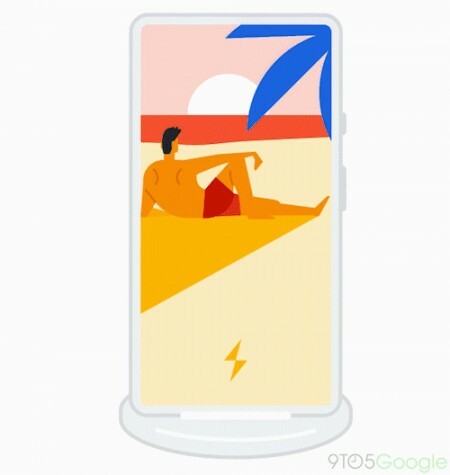 Now, thanks to a Google APK v8.22 teardown, we know that the duo of Pixel phones will come with a wireless charging dock called "Pixel Stand". Buried deep in the code there's a short animation showcasing how the device works with the dock. It mentions extended functionality including slideshow and a different Google Assistant interface too. Even though there's not much we can work with here, it still serves as a solid confirmation about the wireless charging feature of both phones. We will know more during Google's October 9 unveiling event in New York. TBH it is Mid Range, a true flagship is the Galaxy and Note Series from Samsung, the Pixel is just overpriced without the hardware or design to back it up!